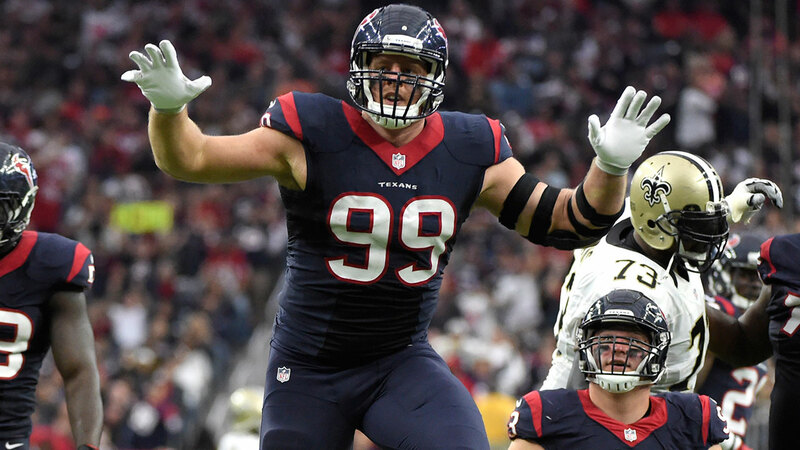 HOUSTON (KTRK) -- The honors keep coming in for Texans defensive lineman JJ Watt. Today, he was named Defensive Player of the Year by the Pro Football Writers of America. Watt also won the award in 2012 and 2014, joining Bruce Smith and Reggie White as the only players to earn the distinction three times. Watt is the first player to win it in back to back seasons. Watt, 26, finished the season as the NFL sacks leader (17.5), tackles for loss (29) and quarterback hits (50).